Kurt Cobain’s left-handed Hagstrom Blue Sparkle Deluxe guitar is up for grabs, via an eBay auction. 10% of the sales will go to Transition Project Inc., a Portland charity which assists homeless people find housing – a worthy and relevant cause, considering Cobain often bounced around from house to house during his teenage years. No idea what kinda cash you need to fork out for such a rare piece of rock memorabilia (remember, each time he smashed the bejesus out of a guitar, the ones he didn’t smash became that much more valuable), as you need to pre-quality just to bid. 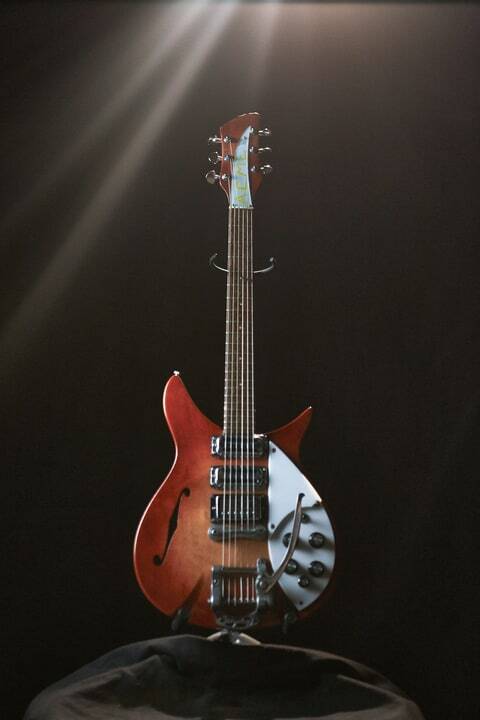 If you’re interested, check out the auction here, or the guitar below. John Fogerty was still in his pajamas on Christmas morning when he noticed that the last remaining present under the tree was unusually large and covered up in one of his trademark plaid shirts. On his wife’s urging, he removed the shirt and began peeling back the wrapping paper, revealing a Rickenbacker guitar case. Tears began welling up as he realized what he was about to see. “I was immediately struck dumb,” Fogerty says. “I turned to my wife and said, ‘Am I about to get overwhelmed here? '” He opened the guitar case and began sobbing uncontrollably. Inside was a 1969 Rickenbacker 325 Sunburst guitar with the word “ACME” written on the head in yellow paint. The guitar was Fogerty’s main instrument during the peak of his Creedence Clearwater Revival days and the one he played onstage at Woodstock, The Ed Sullivan Show and countless concerts all over the world. Many of his most famous tunes were written and recorded on it, including “Green River,” “Travelin’ Band” and “Up Around The Bend,” but it had been out of his hands for 43 years. “I never imagined I’d see it again,” “Eventually these things, like works of art, end up getting bought by some billionaire and go into some secret closet so nobody can know about it.” Now, Fogerty has been reunited with the long-lost instrument. 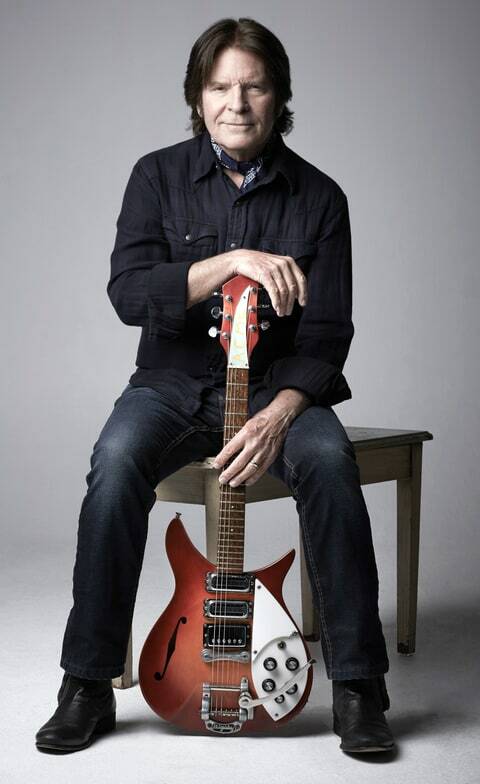 Fogerty first got a Rickenbacker in 1967 when he was still on active duty in the Army. His brother Tom traded in a couple of Fenders and a Supro for a black 325 Rickenbacker, which was loosely known as the John Lennon Model. Fogerty played it on “Suzie Q,” “I Put A Spell On You” and nearly every other song on CCR’s 1968 debut LP, but he quickly grew frustrated with the whammy bar. During a show at New York’s Fillmore East, he saw a 12-year-old boy hanging around backstage. He called him onstage, played a final song on the guitar and then handed it to him. When he got back to Los Angeles, he headed to the Rickenbacker showroom, carefully examined seven or eight new 325 guitars and selected a Sunburst that he customized with a Bigsby whammy bar and Gibson Humbucker pickup. Feeling that he’d altered it to the point that it needed a new name, he took it to the backyard, got some yellow paint and scrawled “ACME” on top of it, inspired by the omnipresent fictional corporation in the Warner Bros. cartoons he loved as a child. For the next few years it was his main axe, used whenever he recorded a song in regular tuning on every Creedence album from 1969’s Bayou Country through their final LP in 1972. Twenty years later, John was beginning to put back the pieces of his life and get his career back on track when he stumbled across Norm’s Rare Guitars in Tarzana, California. He and his wife Julie were taking their two young boys to a video game arcade and the guitar store was nearby. Norm told them he had one of John’s guitars in the back and out came the ACME Rickenbocker 325. “He quoted a price to my wife that I think was something like $40,000,” says Fogerty. “I just looked at him and the guitar, shook my head and said, ‘I’m not doing that.’ Again, I was in some sort of denial and numb about that whole period of my life.